A fun packed event in the heart of Falkirk town centre, this year’s Falkirk Storytelling Festival takes place between 4th and 7th October 2018. The Festival has its roots in storytelling but reaches out to cover music and performance. 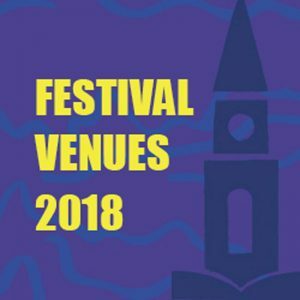 Highlights of this year’s programme include: author, broadcaster and soul music expert Stuart Cosgrove who will be launching his new book Harlem 69 ; Hannah Rarity the BBC Scotland Young Traditional Musician of the Year, best selling Scottish crime authors Alex Gray and Doug Johnstone, Stuart McBride and Russel D MacLean. Falkirk born author Alan Bissett brings his hilarious sell out hit show ‘Moira Monologues’ back to Falkirk. 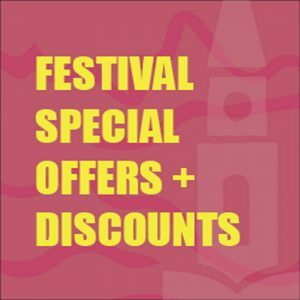 There’ll be a huge programme of kids events in the Howgate from storytelling from the award winning Chae Strathie to a magical, fun-packed afternoon of wizardry and witchcraft on Saturday plus another amazing Spy Quest immersive adventure game taking place in Falkirk town centre on Sunday. Locally based literary collectives The Rooftop Writers, The Write Angle, and The Literary Lounge will once again be showcasing local talent during the four day event. Falkirk Library host Bookbug, and Lego events for youngsters while folk music events presented by Falkirk Folk Club will be taking place during the festival on both Thursday and Saturday nights. Falkirk Storytelling Festival 2018 has been assembled and is brought to you by The Howgate Shopping Centre, Eden Consultancy Group and the events team’s at Trinity Church together with Falkirk Library and Waterstones Falkirk. Each of the events taking place are organised either by the venues themselves or by the organisations mentioned under each individual event. If you have questions relating a specific event please contact the event organisers or the venue direct. Please note that with the exception of the Howgate, Trinity Church and Falkirk Library which are fully accessible, a number of the venues are located on upper floors of traditional buildings which do not have lifts. If you have special access requirements please contact the individual event organisers direct – they will be pleased to discuss further with you. We hope that you enjoy this year’s festival.